You can avoid all of the hard labor, nasty chemicals, and dust with this RC kit and get right into painting and strap assembly. I will even size the more difficult parts for you, like thigh and greaves length, and install the backpack handles. Comes primed in black, white, or gray. This kit comes with the 11 most difficult parts already assembled and seamed. This includes the shoulders, biceps, bracers (forearms), thighs, greaves (calves), and backpack (the most challenging part) with handles installed. What is "seamed"? Many parts of this armor are made of two pieces that are combined into one with tabs glued inside. This results in a seam that must be filled, sanded, and primed for paint, which comes completed for you in this kit. I believe this is the only RC kit offered in actual ABS plastic, which is superior to HIPS/styrene plastic. HIPS can be brittle (cracks when bent too far and gets worse with UV exposure), ABS is nearly impossible to break. 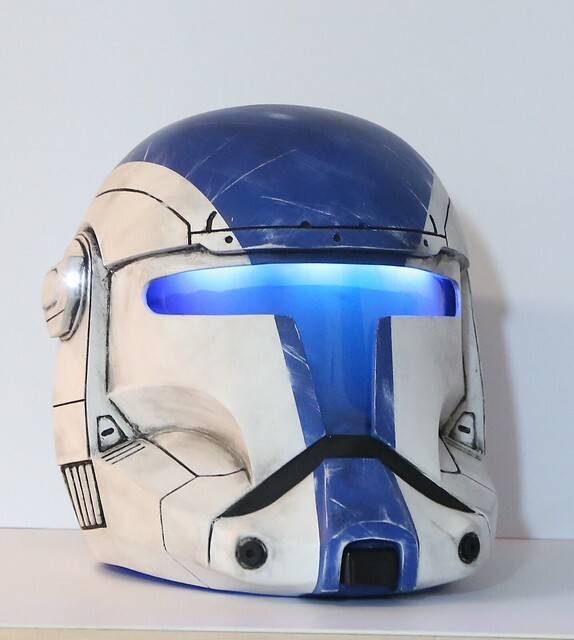 This is vacuum formed like proven 501st clone armor, not a weak 3D print. Some parts are designed to be rigid (thicker plastic) while others are made to be flexible to better conform to your body. I can make the neck collar attach with neodymium magnets and add a faux leather neckseal for $75. Please contact me for more info. Boots are $80. Your thighs must measure about 26 inches or less around your leg at groin level. No one is likely to fill the bicep armor properly so a muscle shirt is required along with padding at the back of the knee. I offer a basic undersuit package for $70. I can install lighting for extra and make special armor pieces too, like SEV/Fi ammo dispensers on shoulder and leg. I only offer this in black ABS currently. Armor comes with black, white, or gray primer. Shipment requires at least two boxes. For international shipments, please be aware that shipping might cost more than described based on your country's box size limits. Also, please be aware of import fees.